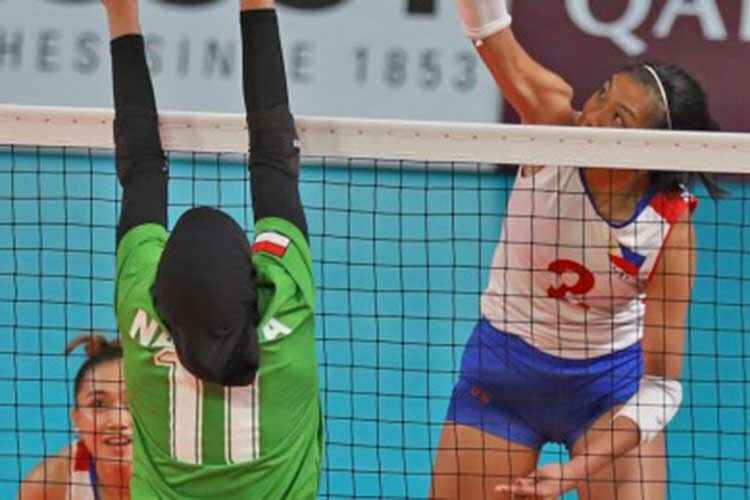 JAKARTA — The Philippines bowed to Indonesia, 1-3 (20-25, 20-25, 26-24, 22-25) in the 18th Asian Games women’s volleyball preliminary round Group A at the Gelora Bung Karno Volley Center here on Saturday night. Alyssa Valdez scored 16 points while Alyja Daphne Santiago added 13 points for the nationals, who absorbed their third loss against one win. Aprilla Santini Manganang was the best scorer for Indonesia, finishing with 28 kills, including three blocks. Amalia Fajrina Nabila had 11 points, including four aces. Indonesia notched its second win in three outings. It will face unbeaten Thailand in the final day of the preliminary on Monday. Thailand, the reigning SEA Games champion, collected its fourth consecutive victory at the expense of Hong Kong, 3-0 (25-6, 25-11, 25-20). In the Group B preliminary round, defending champion South Korea defeated Vietnam, 3-0 (25-20, 25-15, 25-19) for its third win in four matches. In other results, China beat Kazakhstan, 3-0 (25-14, 25-15, 25-11) rolled to its fourth straight win, while Chinese Taipei downed India, 3-2 (23-25, 25-21, 18-25, 15-13) for its second win against two loses. Other matches on Monday will feature Japan against Hong Kong in Group A, and China against India, South Korea against Chinese Taipei and Kazakhstan against Vietnam in Group B. The top four teams in each group will advance to the quarterfinal round, where the No. 1 team in Group A will face the No. 4 team in Group B. Other matches will pit A3 vs B2, A4 vs B1 and A2 vs B3.